X-Rite’s new ColorMunki Smile is a new calibration too geared toward photo enthusiasts and others looking for a more affordable way to color calibrate their monitors. 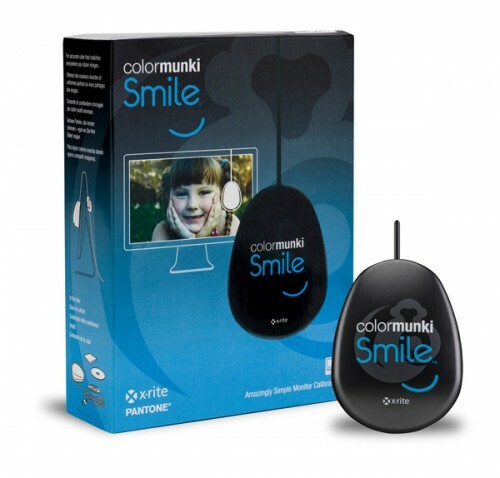 ColorMunki Smile includes color measurement hardware and simple software that has a “wizard-based” user interface. Following on-screen instructions will guide users through the calibration process with no need for an underlying knowledge of color science. ColorMunki Smile is available for both Mac and PC and will work in dual monitor setups. ColorMunki Smile retails for $99 and is available now at Amazon.com. More details on X-Rite’s website.